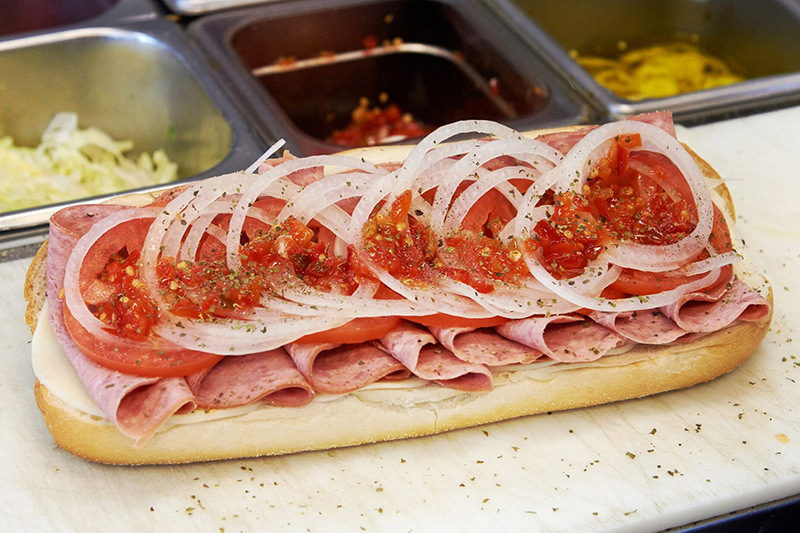 It’s a risky move—challenging a classic—especially when it comes to a Philly food staple like the hoagie! But these six delis managed to reinvent the wheel without igniting the fury of foodie-obsessed Philadelphians. A feat most wouldn’t dare, let alone accomplish! The twist: The folks at DiPascale’s wanted a sandwich as stuffed as an Italian hoagie but with a different blend of flavors. 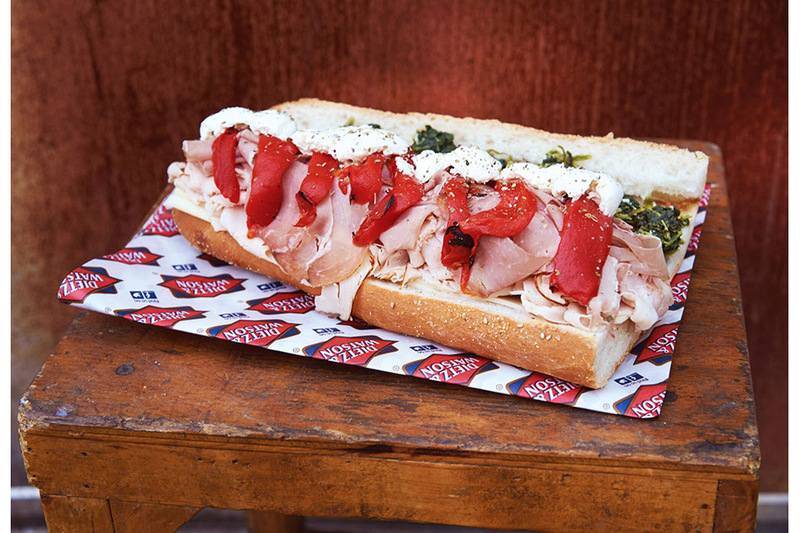 After experimenting, they landed on the flavor-packed combo of Dietz & Watson Roasted Turkey, Prosciutto, Mozzarella balls, and Sharp Provolone topped with roasted red peppers and broccoli rabe. It does not disappoint. Backstory: The DiPascale’s knew they wanted a sandwich full of Italian flavors, but were unsure about which items from Italy go best together. After about six or seven takes, DiPascale’s finally got their signature recipe right and The Kitchen Sink was born. Now customers flock from all over in search of this favorite. 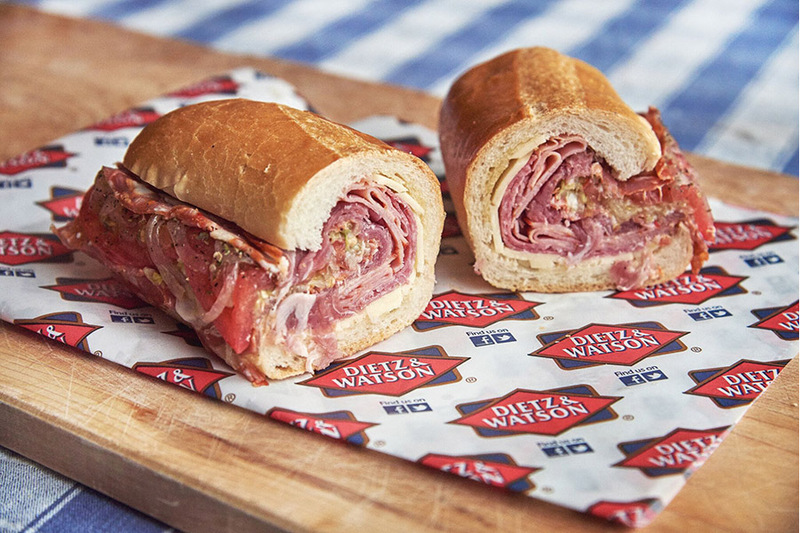 The twist: Instead of crafting your good old-fashioned Italian hoagie, the masterminds at Bria & Latella’s invented a new way of packing a punch of meats and toppings into their sandwich. They scoop the dough out the center of the roll. This allows them to fill that void with oil and oregano before being topped by Sharp Provolone, Dietz & Watson Genoa Salami and Capicola, Prosciutto Di Parma and Soppressata. Meat Lover’s, rejoice! Backstory: Co-owners Greg Bria and George Latella aren’t only friends, they’re brothers-in-law. The two teamed up to craft this specialty sandwich after what they, The Boss’ like to eat at home. The twist: This paired down take on an Italian hoagie is full of fresh ingredients like Prosciutto, Mozzarella, roasted red peppers, oil and oregano, all piled on a warm, crisp Atlantic City roll. Backstory: If you don’t get the reference, are you even from Philly? It’s all in the name — “The Philly Special,” is the Eagles Super Bowl play that lives on in the hearts and memories of Philly fans forever. Eagles fans — now you can eat your feelings of pride and joy at Ernest & Son. The twist: Atop the Dietz & Watson Corned Beef and Swiss, you’ll find McFarlan’s standout homemade cole slaw and Russian dressing. As if the dressings aren’t enough to make this sub memorable, customers can also choose between the store’s famous store-baked rye bread or onion rolls to hold their hoagie toppings. Backstory: It could be sacrilegious in this town to mess with a corned beef Sammy, but McFarlan’s has executed their take with style and grace. Their special Corned Beef Sandwich has been around since the shop opened, and has withstood the test of time as a customer favorite. The twist: Based on the classic sandwich, The Zep, this present-day version raises the bar and amount of meat, compared to its predecessor. 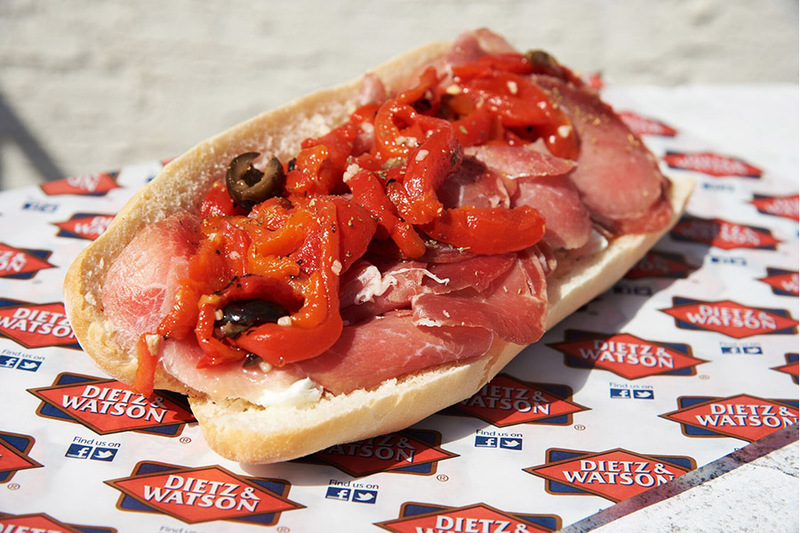 The new Zep has mounds of Dietz & Watson cooked Salami on top of a plentiful layer of Provolone, tomato, onion, and peppers. Backstory: After hearing about the infamous Zep, a sandwich full of hearty meats and cheeses, intended for those with a healthy appetite, the owners of Ana’s decided to take a stab at this local sub. With a little research and a lot of practice, they perfected their Zep and have been selling them like hotcakes ever since. 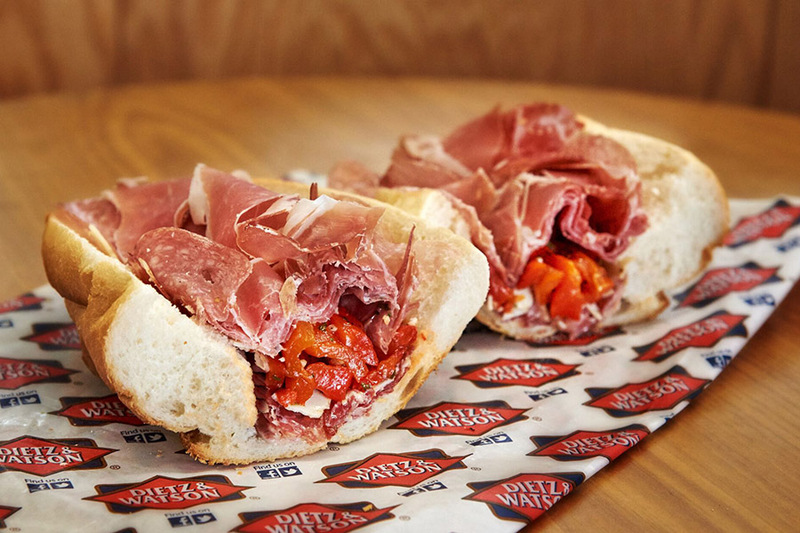 The twist: By adding Soppresatta and roasted red peppers, Centrella’s took the classic Italian hoagie and made it a standout sandwich beloved by customers. Its other ingredients are the usual suspects — Capocolla, Genoa Salami, Prosciutto and Sharp Provolone. Backstory: Centrella’s has been serving up traditional Italian fare for more than 40 years. Opened in 1975, it’s become a neighborhood staple, and so has the 9th Street Sandwich. 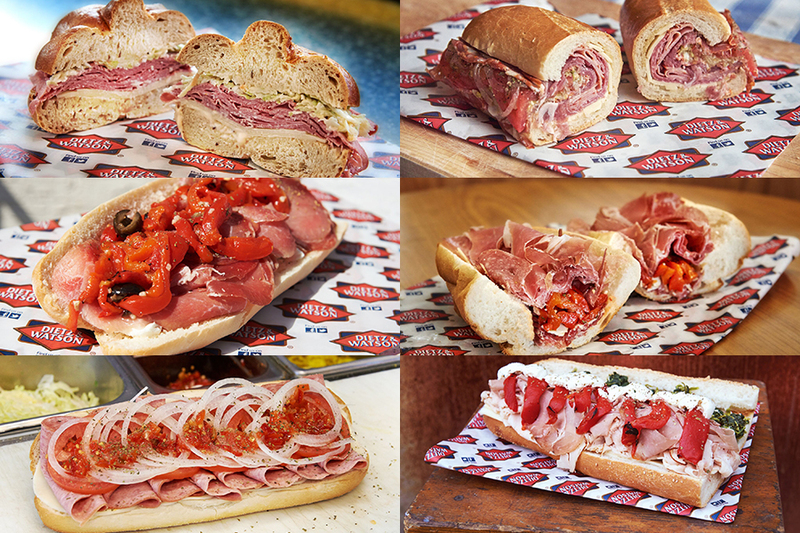 The beloved hoagie has been passed down through generations of sandwich makers and still remains a menu mainstay. The combination of authentic Italian atmosphere with traditional Italian flavors will warm your heart and your taste buds. Find your favorite? 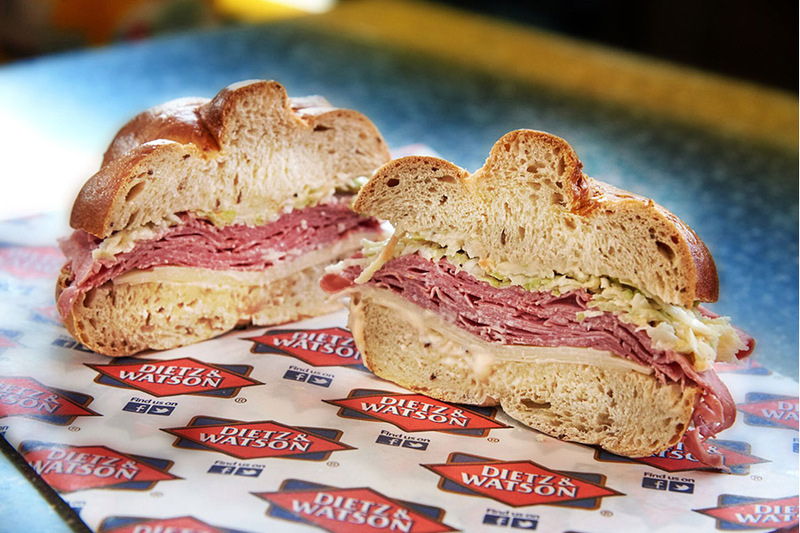 To cast your vote in Dietz & Watson’s Best Real Philly Deli Sandwich Faceoff of 2018, click here.